What is living below your means? For many of us, this is harder than it sounds. Living below your means is creating a livelihood where you don’t spend all the money that you earn and you actually stick with a budget that includes putting money away for a rainy day. For a lot of us, this can be very difficult because we might be living paycheck-to-paycheck. It can be tough to set aside money for emergencies or the things that we want. You have to recognize that things can happen in life that are out of our control and that there are ways to cut your cost just in case life happens. Save your raises. Don’t spend that extra income instead automate it by having it automatically transferred to your savings account or IRA. Higher income could mean more debt. Just because you make more doesn’t mean you need to spend more money. If you can continue living like your salary never increased and transfer that additional income to various account for emergencies, vacations, and your retirement you will be thanking yourself later. Here are a few steaming devices that are popular if you are ready to ditch the cable box or satellite TV. The Amazon Fire Stick allows you to enjoy thousands of channels, apps, and Alexa skills including Netflix, Hulu, HBO NOW, YouTube, Amazon Video, NBC, WatchESPN, Disney, and more. Subscription fees may apply. If you have a Prime membership you can unlock thousands of movies and TV episodes, including Thursday Night Football, Amazon Original Series, Amazon Channels, and ad-free listening to millions of songs with Prime Music. This device is defiantly something worth checking out. Another great device to watch your favorite TV shows and stream movies is the Roku. 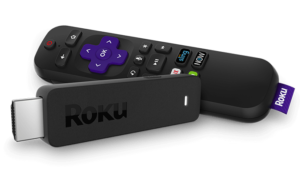 You can purchase the Roku Streaming Stick+ | 4K/HDR/HD streaming player with 4x the wireless range & voice remote with TV power and volume straight from Amazon. See the link below the image. Shop your own closet. Why do you have to go and get a new outfit every time you get paid? Look at the clothes that you already have. If your clothes are still in good condition then create several outfits with those pieces or sets. Also, if you have some clothing that are still in good condition, but you can no longer fit them sell them and make a profit so that you can go out and buy a new outfit without spending your paycheck. There are so many consignment stores out there and some online where you can sell your gently used clothes and make a profit. Pack your lunch. Why spend the money going out and getting food when you can pack your lunch and take it with you. This can save you hundreds each year. Think of it this way – The amount of money that you spend on that one meal out you could prepare multiple meals with that money instead. So start planning your weekly meals and head on over to your local grocery store because you are no longer eating out at work. Don’t deprive yourself and think that you can never eat out again. Take it slow and try a couple of days a week to pack your lunch. Every little bit counts when you are trying to save and not spend. Here’s a that is ranked one of Amazon’s best sellers. 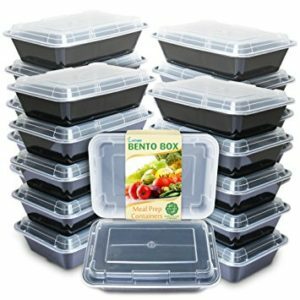 The Bento Box – Enther Meal Prep Containers. These to-go containers are microwave safe, washer, and freezer friendly. 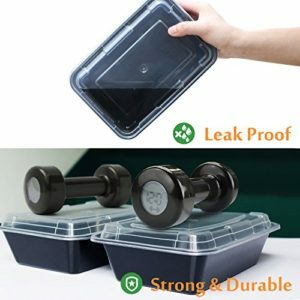 They can hold up to 28 ounces of food and for only $17.99 you get a set of 20 boxes. Save money on beauty. Instead of always going to get your hair and nails done try doing it yourself. I am not saying give up getting your hair and nails done completely. Just try cutting the cost of washing and styling your own hair and painting your own nails from time-to-time. Ladies, we know that the cost of beauty can add up so save some of that money and use it doing a vacation away at the spa instead. Check out this blow dryer. 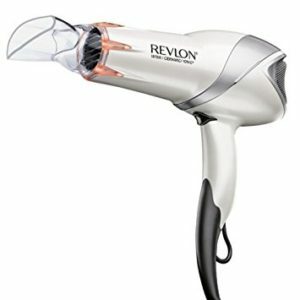 The Revlon 1875W Infrared Hair Dryer for Faster Drying & Maximum Shine. It has 2 Heat/2 speed settings and cool shot button for maximum control with a concentrator and Diffuser Attachments Included. Priced at only $16.69. That some serious savings. Hit the sales and use coupons. This is a great way to save money on the items that you want. Clothing stores always have sales and most of them allow you to use their coupon in addition to their sales. Become a member of their loyalty program. Those points can add up to additional savings. If you made out your grocery list don’t forget to download digital coupons so you can save money at the checkout counter. If you prefer to shop online try using online retail coupon sites like coupons.com, Groupon.com, and RetailMeNot.com to add some savings to your cart. Every little bit helps. Living a more frugal lifestyle means cutting back. Just because you are cutting back on your expenses doesn’t mean you can’t have fun (meaning that you did not have to spend a dime). There are plenty of things that you can do for free. Check out your local attractions in your area. Some attractions have free days to enter and explore their facilities like the zoo or a museum. Go have fun at the park. Take up some outdoor activities like biking, boating, jogging, skating, have a picnic, camping, or watch wildlife. Try implementing a new approach that still allows you to maintain a lifestyle you love while still finding ways to save and live below your means. Create a money challenge. Every time you pay off one of your credit cards go out and celebrate. You can even create a small savings account and put a little money away to use to have fun and celebrate your accomplishments. Some banks like Bank of America have programs like “Save the Change.” That money can add up and you can use that change and go out and buy a new outfit or have a nice dinner out. Don’t fall right back into debt once you pay off that credit card balance. Learn to be financially independent. Stop relying on others to get you out of your financial circumstances. If you cannot afford your bills then you might need to go and get a second job. Start taking responsibility for the bills that you have accumulated. Getting a second job will allow you to pay down some of that debt and hopefully put some money away. If a second job is not your thing or you don’t think you can make the time to work another job try your hand at freelancing. If you have a skill like graphic designing, photography, bookkeeping, making Excel spreadsheets, etc… sell it. Make some additional money on the side to help you pay down some of your debt and save. Remember the less you spend the more you can save for something even bigger or for an emergency. Have you always wanted to travel more? Spend less and save up so that you can explore the world. What is better – to spend money on materialistic items or to capture and build memories? Never count your chickens before they hatch. Meaning, don’t start spending money that you do not have. If you do contract or freelance work don’t go out and purchase anything new until you have that check in your hand and it has been deposited into your bank account. This is one of the worse mistakes a lot of us make. Take care of your livelihood first like paying your rent and bills before you go out and purchase things for yourself. Never buy wine with beer money. Meaning just because you can buy something doesn’t mean you should. Like buying a new car when you cannot afford the car note. If you already have a good car that can get you from point A to point B and it is still in good condition don’t go purchase a new vehicle. Wealth is not defined by how much money you earn, but how much money you have (saved). Stop looking at other people and their lifestyle. You might wish that you can go out and purchase the newest technology or fancy designer clothes like someone you know, but chances are they might be up to their ears in debt and it is a front. Some people have a spending problem, but you don’t need to make the same mistake. Save your money for the most important things that you want out of life like retiring early or taking that long awaited vacation aboard. Like the saying goes, don’t buy things trying to impress people you don’t even like. Saving should be added to your monthly budget. Make it like it is a bill and make it automatic. Make sure every pay period that you pay yourself as well. Don’t let all of your money go to paying bills. There are ways to cut down your spending to save like purchasing that cup of coffee everyday rather than brewing it at home. Put money away for yourself. I hope that all of these tips are useful and you are able to implement some of them. If you have any strategies, experiences or advice to others please leave them in the comments section below this post.